One on one or small group? The Little workshop in Broadway can cater for up to six students at a time in the workshop. We don’t do mixed groups – only ones you organise yourself. Most students tend to come on their own for complete 1-to-1 tuition or bring a friend or two… Our luxurious days are perfect either as an intensive session for you, or for you and a partner/relative/friend or colleague. Or gather a group together (maximum of six) – how about a Staff Away Day or Team Building or an alternative girlie day out: a soapy hen day making wedding favours together, or a society away day – whatever the mix you bring, we guarantee you a great fun day out where you will all learn a new skill and go home laden with your own creations! The perfect present for that hard to buy for person – a gift voucher for a day with us here in the Little Workshop.  We will send the voucher either direct to yourself or the recipient, in a gift box with a bar of our Organic Handmade Artisan Soap, to give them a taster of what they can learn to make here. The voucher is redeemable against a choice of our courses. Vouchers available online! ▪ If you wish for the voucher to be posted to the recipient direct with a message please fill out the respective fields as you place the online order. ▪ A Voucher recipient can only book the course date over the phone or by email to us. We also offer for you to take home on the day, starter packs to get you going when you’re home. These include everything you need, weighed out and measured to make a big batch of the Little Recipe. * Let us know before your course if you want one of these and we’ll ensure we’ve got one ready for your to avoid disappointment and so you can get making as soon as you get home!